New technologies and genetically modified crops are usually invoked as the key to feeding the world’s growing population. But a widely overlooked opportunity lies in reversing the soil degradation that has already taken something like a third of global farmland out of production. Simple changes in conventional farming practices offer opportunities to advance humanity’s most neglected natural infrastructure project—returning health to the soil that grows our food. It is critical we do so. In 2015, a U.N. Food and Agricultural Organization report concluded that ongoing soil degradation reduces global harvests by a third of a percent each year under conventional farming practices. In some parts of the U.S. I’ve visited, the rich black topsoil that settlers once plowed is gone, eroded away leaving farmers tilling anemic subsoil. And while mechanization, agrochemicals, and the Green Revolution transformed agriculture and boosted crop yields in the 20th century, they also delivered another unexpected downside. The combination of highly disruptive mechanized tillage and heavy fertilizer use took a toll on soil organic matter and beneficial soil life even as it masked the effects of degraded fertility by pumping up crop yields. So far, America’s farms have lost about half their soil organic matter since colonial days. Are we approaching the day where we will face the problem of how to maintain harvests from degraded soils once we burn through the cheap oil that fuels agriculture and chemical fertilizer production? While we might keep squeezing higher yields from traditional crop breeding, we already add far more fertilizer to our fields than crops can take up, and so far, at least, genetically modified crops have not delivered the higher yields proponents promised. Fortunately, there is another way forward. Rebuilding fertility on the world’s degraded farmland is not only possible; we could do it remarkably fast—and profitably—with something called “regenerative agriculture.” I learned about this as I embarked on a six-month journey to visit small subsistence and large commodity farms while researching my book Growing a Revolution. On farms across America, from South Dakota to Pennsylvania, and in Africa and Latin America, I saw how a reconceived farming system can rapidly improve soil fertility without sacrificing crop yields. The secret to success? Giving up on plowing so as to minimize disturbance of the soil; planting cover crops to both protect the ground from erosion and build up soil organic matter; and adopting complex crop rotation pattern to thwart pests and pathogens. Some of the farmers I met also reintroduced livestock to graze cover crops and manure their fields. Combining these components into an integrated system amounts to a revolutionary departure from conventional practices that rely on heavy tillage and chemical use to grow one or two cash crops. Farmers who adopted all three practices found that they could slash their use of—and expenditures for—chemical inputs, as their soil quality improved. After a several-year transition, harvests bounced back to equal or exceed prior levels. And maintaining or increasing yields while reducing outlays for diesel and agrochemicals translated into greater profits on both conventional and organic farms. These farmers also increased the amount of carbon retained in their soil enough so that if their practices were adopted globally, it would to take a serious bite out of fossil fuel emissions. Other benefits would include less nitrate pollution in groundwater, lakes and streams; and greater drought resilience due to more efficient water use and greater moisture retention. The loosely organized soil-health movement I encountered is primarily a ground-up, farmer-led effort. Yet every farmer I interviewed said that such practices would see more rapid adoption if we simply stopped subsidizing conventional practices that degrade the soil. 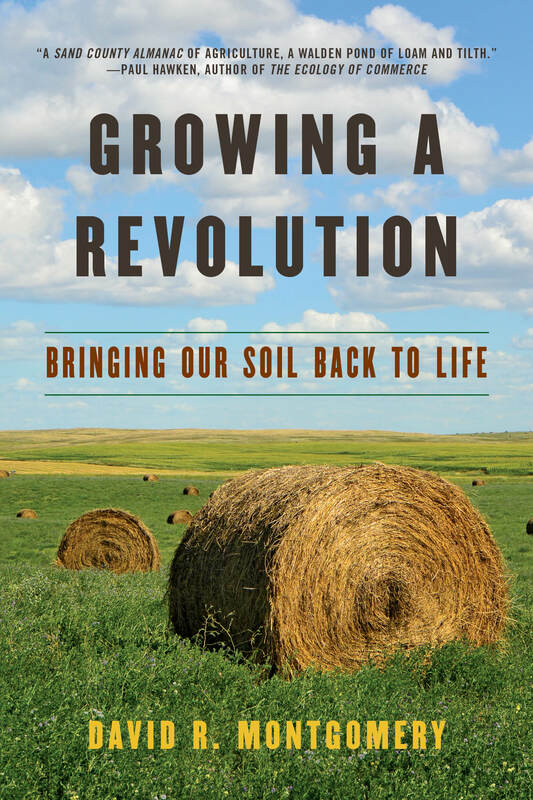 Soil improvement would blossom were Congress to retool agricultural subsidies, crop insurance and other programs, while encouraging, training and rewarding farmers for adopting regenerative practices. We could also support and financially backstop farmers through the transition period; establish demonstration farms to evaluate regenerative methods appropriate for different regions; and require adoption of conservation agriculture practices as a condition for subsidized crop insurance. After all, shouldn’t we subsidize restoring healthy, fertile soil instead of practices that chip away at the foundation of American prosperity? Restoring health to our nation’s agricultural soils is something that even a bitterly divided Congress should be able to unite behind. It would help secure national prosperity, sequester carbon, reduce agriculture’s environmental footprint and enhance the profitability of farms across America. If all that can’t unite our blue coasts and the rural sea of red in between, what on Earth possibly can? Credit: David R. Montgomery is a professor of geomorphology at the University of Washington and the author of Growing a Revolution: Bringing Our Soil Back to Life.